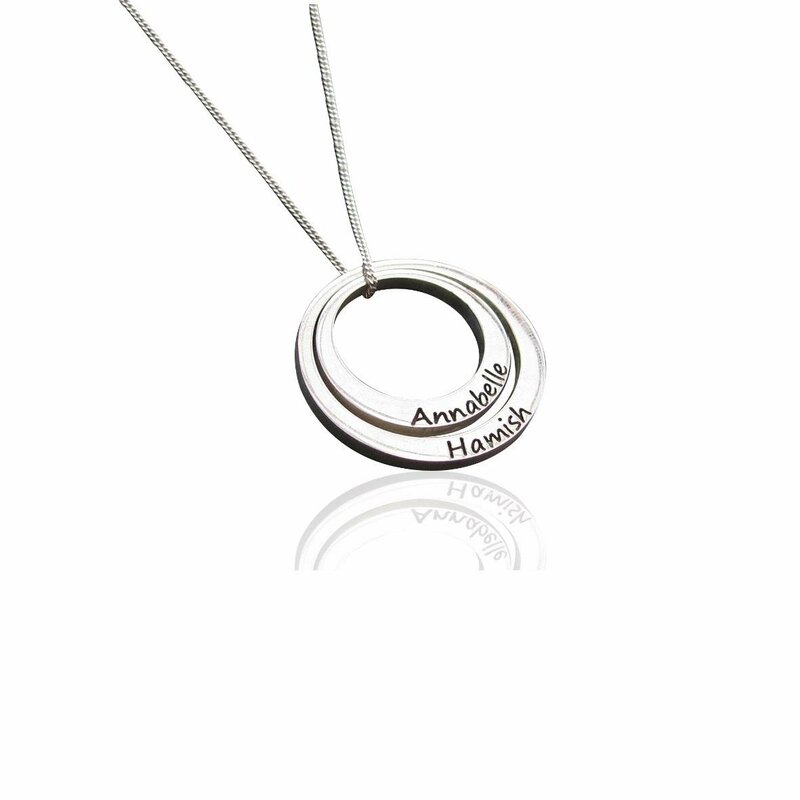 ”Description: set of 2 family pendants. these are free moving that sit under each other. We really like this set. 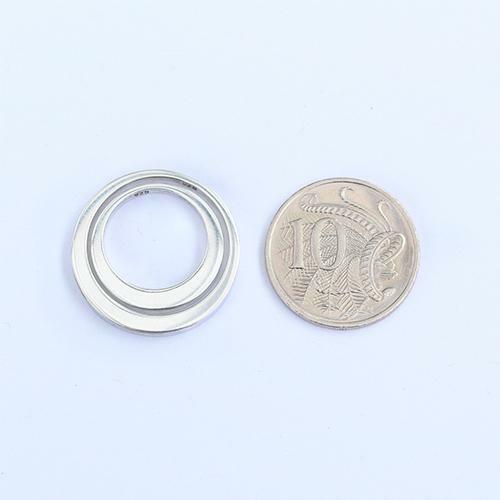 Dimensions: The inner circle is 20mm wide and the outer is 25mm both are 3mm thick. Chains : If you would like a chain please choose from the drop down menu. Once your order is completed and placed online you can track the progression of your order by logging in to your account and viewing details of your order. We will send you a email when the item has been shipped with a tracking number and website to track item. Please be aware that you will need to sign for your parcel and so if you are not available to receive item you will need to pick up from the location stated in the tracking info. 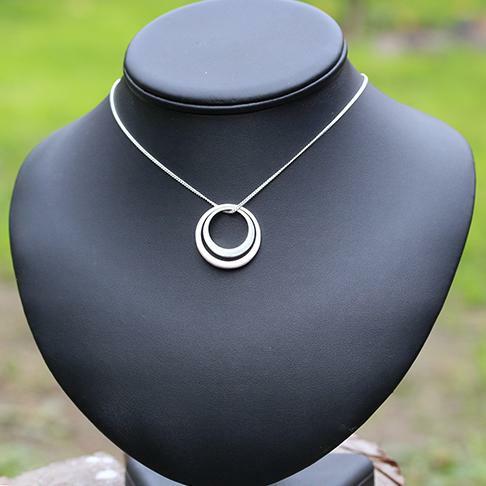 Review : I ordered a set of four Family Circles and they arrived without any dramas...and they are gorgeous! Lots of comments and compliments! Well done Coolibah Charms, and thank you! Review : Thanks for a wonderful gift! 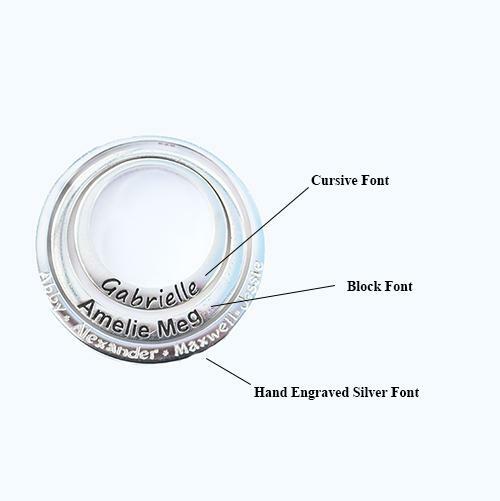 Hi, A few years ago I bought the 20mm ring with my son's first and second name on it and I noticed at the time that the names were a little oddly spaced. I've since realised that it was probably assumed that they're the names of two different children. 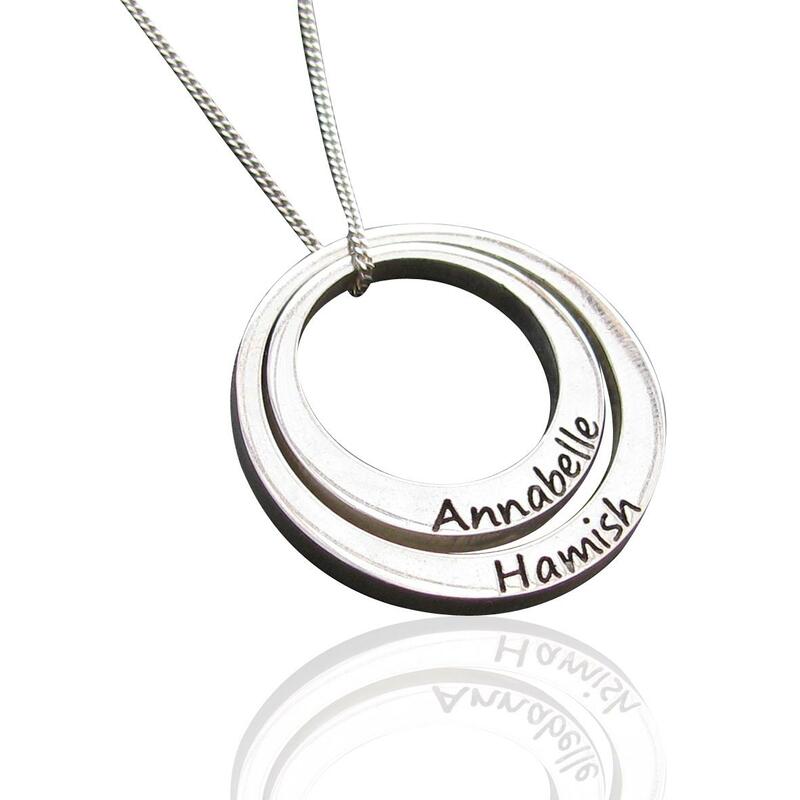 It was ok on its own but now that I'm looking to get another ring with my next child's names on it, I'd like to know how to ensure that there's only a single space between the names on each ring (I'll probably re-purchase the ring for my son so the spacing is consistent). Thanks. Hi there, how do I order only 1 circle for now please? I'm interested in ordering the 2/3/4 rings without the bail. Is it possible to add a love heart so it fits within the rings? Hi, I was just wondering for the personalised family pendants. I don't understand the pricing, what is $97 when I haven't picked any circles or anything yet. When I do pick it adds on to the $97. I'd like to know what the $97 is? 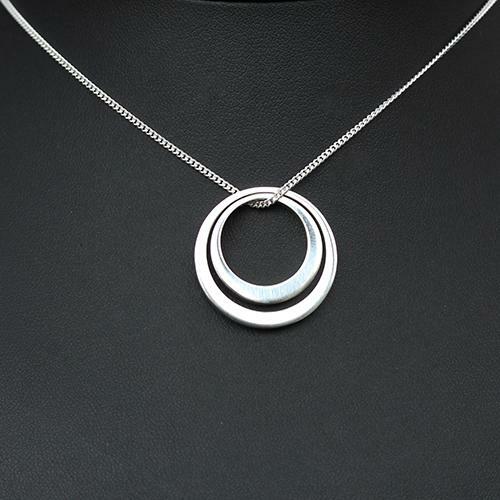 hi are the pendants gold fill or full 9ct gold? Hi, they are all solid 9ct gold. No gold filled products in shop. thanks so much. Do you have a picture of the different chain types?